Remember that amazing dressing table I featured a while back? 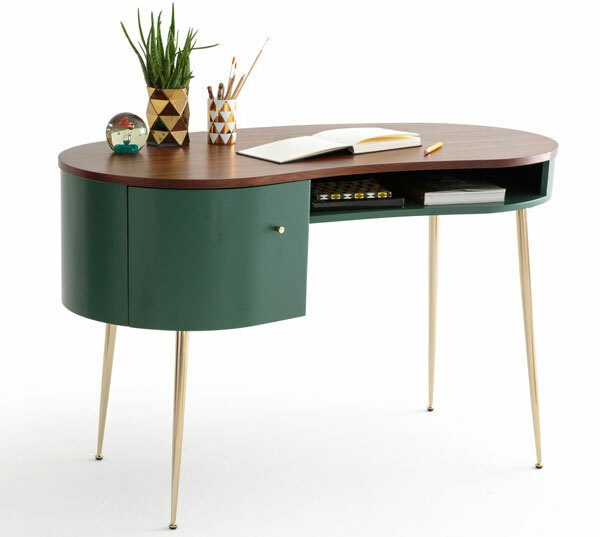 It is actually part of a larger retro range, including the Topim desk at La Redoute. 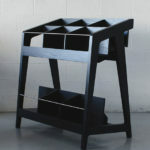 In fact, looking at the site, there is also a side table with similar styling available online too. 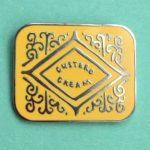 So maybe there is a steadily growing 1950s-inspired range gradually forming under the Topim name. I do hope so, as I love this particular styling. That’s for later, but for now how about looking at this amazing arrival? 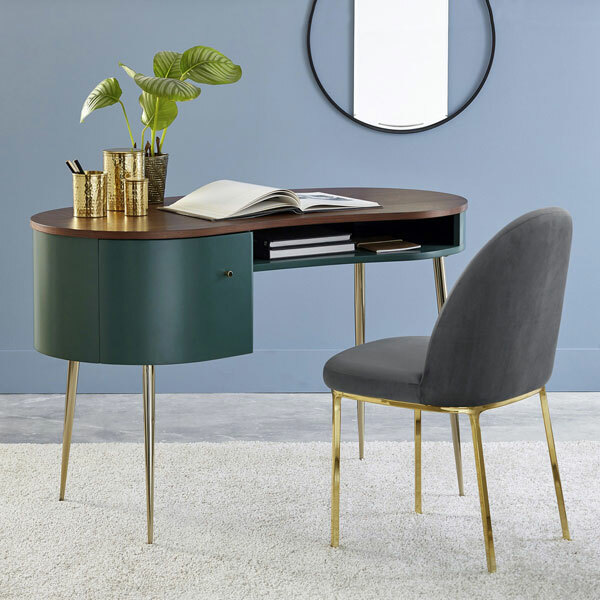 The other designs seem to be for the bedroom, but the Topim desk is a departure, designed to be the star of the show in an office and specifically, a home office. 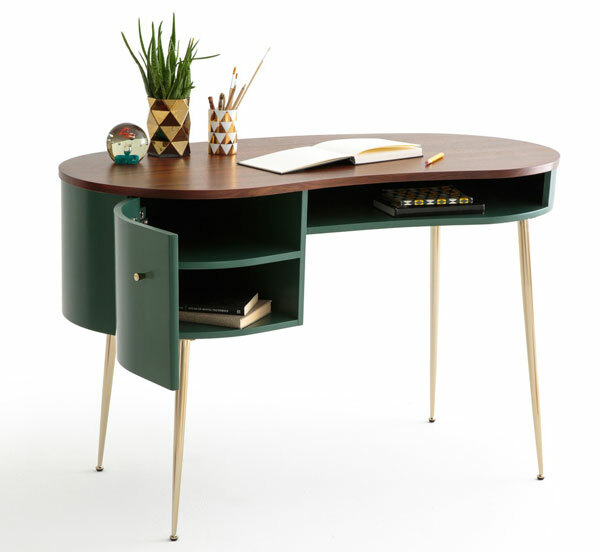 If you have a retro home and work from it, this could be the desk for you. 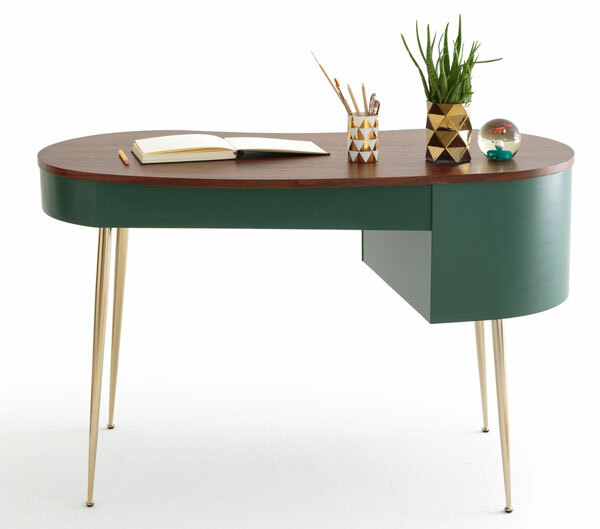 Yes, it has substance as you would expect from a desk, but it also has an awful lot of style. 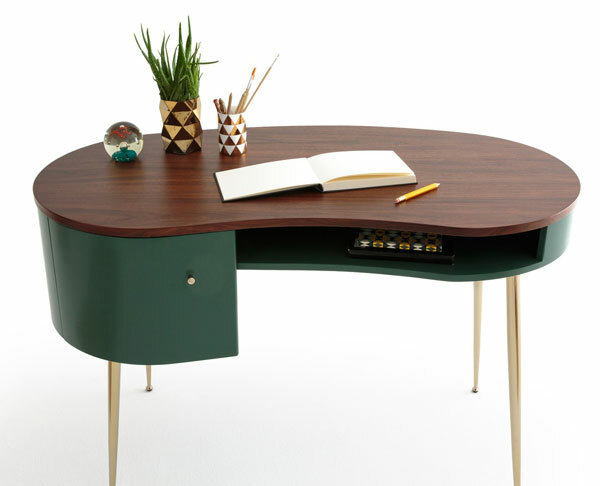 This is a kidney-shaped desk that is unashamedly inspired by the 1950s. 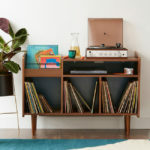 It offers a good amount of working surface via its walnut veneered MDF top, a compartment with door underneath and a further storage area further along for things that aren’t so private. Oh and that lovely finishing touch of the brass/gilt metal legs with pads, which are apparently adjustable. That’s the detail that jumps out at you as soon as you see this piece. 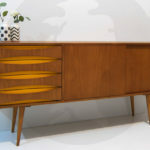 Hopefully this is the next step in an ongoing range but even if it isn’t, this is hugely desirable piece of interior design, especially if you are going for a 1950s/ midcentury modern vibe. Price? The official price is £599, but there is 30 per cent off all furniture right now (for a short time), so in reality you are looking at something nearer £420 if my maths is correct.